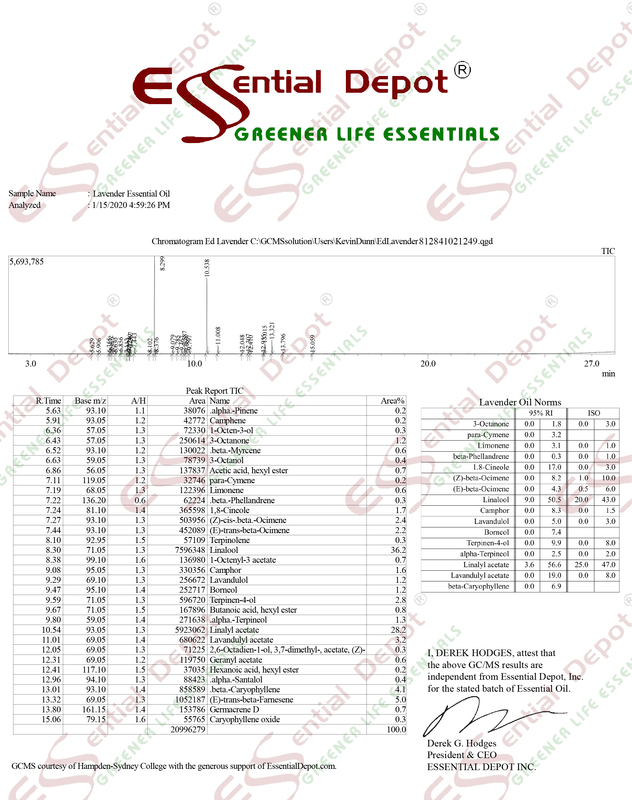 The Place to Shop for Greener Life Products (659 visits today so far) made with Pure GC/MS Tested Essential Oils, amazing Hemp Derived CBD Isolate and Concentrates (no THC) and hundreds of other ingredients from Essential Depot. Vegan and gluten free. distilled water, olive oil, coconut oil, palm oil, castor oil, shea butter, sodium hydroxide, rose clay, essential oils. Short Product Description: A smooth and decadent skincare solution! 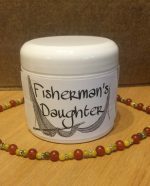 Fisherman's Daughter brings you a tried and true all natural Whipped Body Butter that will not only hydrate but help your skin absorb the good stuff! Fisherman's Daughter brings you a tried and true all natural Whipped Body Butter that will not only hydrate but help your skin absorb the good stuff! 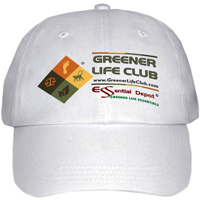 Short Product Description: Contains All Natural Ingredients With Therapeutic Grade Essential Oils. 100% All Natural soaps that only contain essential Oils & herbs with no fragrance oils or colorants added. These soaps like all of our soaps are made as natural as possible without any added additives, harmful chemicals or harsh ingredients. Contains All Natural Ingredients With Therapeutic Grade Essential Oils. 100% All Natural soaps that only contain essential Oils & herbs with no fragrance oils or colorants added. The moisturizing oils used in our soaps will produce a rich luxurious lather that will leave your skin clean and soft without stripping it of its natural oils. We use only the finest oils and butters to make and super-fat all our bar soaps. Each bar is super-fated with Organic Extra Virgin Olive Oil, Organic Coconut Oil, Organic Unrefined Shea Butter, Vegetable Glycerin & Vitamin E.
Each of the soap bars come individually wrapped and labeled in an adorable tin gift box with a bow ready to be given as a gift. This set is great for gift giving, stocking stuffers, party favors or for any occasion! 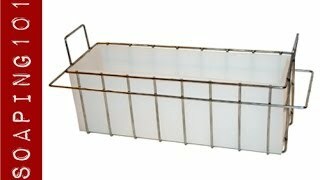 * Gift Box Color may be either silver, gold red or green (not shown) due to what is available at the time of sale. 1. Activated Charcoal & Tea Tree : The combination of Tea Tree Essential Oil and Activated Charcoal work together to unclog pores while drawing out any toxins within the skin. They help to purify and detox your pores while helping to reduce oils that cause acne while also being beneficial against eczema, psoriasis and other skin issues. Tea Tree Essential oil is known for its powerful anti-bacterial, anti-septic, and anti-microbial properties while the activated charcoal is known for the purification of the skin. It will leave your skin clean, soft and glowing! Use for break outs on the face or for all over the body. 2. Acne Soap: All natural vegan soap has a wonderful fresh lemon herbal scent that can be used for the face, body or even as a shampoo. The combination of the therapeutic grade essential oil of lemongrass, Tea Tree, Rosemary, & Turmeric are known to be beneficial for oily or acne-prone skin, while being gentle enough for all skin types. We used natural organic ground turmeric to obtain the nice orange color. 3. 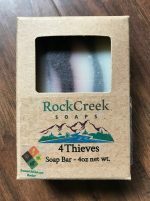 Thieves Activated Charcoal Soap: Our “Ancient Thieves” Activated Charcoal Moisturizing Bar Soap has been inspired by the prominently known Thieves Essential oil. The Five Thieve Oils found in this blend are such: Cinnamon Leaf, Rosemary, Eucalyptus, Clove Leaf and Lemon. These Essential oils combined provides benefits such as: Anti-inflammatory, Antibacterial, antiviral, antifungal, anticoagulant, circulatory stimulant, antiparasitic, insecticidal, antitumoral, antimicrobial, antioxidant and antiseptic. Thieves Essential oil has been known to help protect against flus, colds, bronchitis, pneumonia, sore throats, cuts and in this case also provides benefits in skincare use for acne prone skin, Eczema, Psoriasis, Dermatitis and Dandruff. 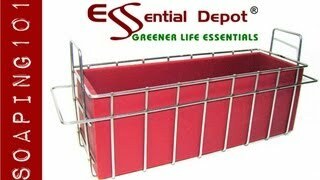 What makes this bar truly special is that we have also added Food Grade Activated Charcoal. Activated Charcoal is known as a detoxing agent for the skin. It draws out any dirt and impurities that seeps within the pores while also clearing the skins complexion. 4. Coconut Milk with Lavender & Lemongrass Essential Oil blend: Combination of Lavender & Lemongrass Therapeutic grade essential oils with organic coconut milk provides invigorating and cleansing properties, while also leaving a smooth appearance to both skin and hair. The therapeutic grade essential oil of Lavender are best known for its soothing effects. 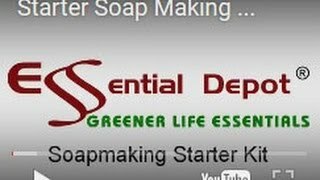 This all natural soap can be used for the face, body or even as a shampoo. 5. Eucalyptus, Cedarwood & Lime Essential Oil Blends: Has a refreshingly warm, woodsy scent that creates an uplifting aroma while moisturizing the skin. 6.Fisherman Soap: This multitasking soap is curated with the outdoorsman in mind... Our Fisherman’s soap is exactly what you need to help you go undetected while outdoors... For the Fisherman: anise star essential oil hides the human scent, leaving a licorice scent that attracts fish. Rub your lures with this soap as well to attract even more fish! 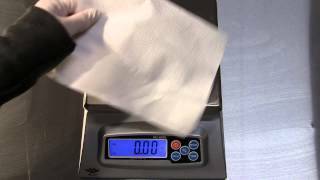 Our formula has even been proven to eliminate strong, overpowering odors in the kitchen, being able to remove strong odors of fish, onions, garlic, and more from your hands while cooking or handling food. This unique formula contains poppy seeds to exfoliate the skin, bentonite clay for absorption, tea tree essential oil for it’s anti-bacterial properties, and anise star essential oil for its licorice scent that neutralizes strong odors. Plus, with 15% moisturizers and exfoliating poppy seeds, these bars won’t disappoint in giving you the experience that has given us our excellent reputation! You can be sure that those extra moisturizing properties will leave your skin feeling smooth, healthy, and well-nourished. 7.Fresh Brewed Coffee Essential Oil Blend: Our “Fresh Brewed Coffee” Moisturizing Soap is perfect for those looking for a natural exfoliating bar for the skin. 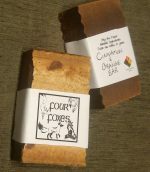 This soap contains real coffee grounds with the addition of five Essential oils such as: Rosemary, Sweet Basil, Peppermint, Lemon, and Nutmeg. The combination of the coffee grounds and essential oils provides the skin with a soft and silky-smooth appearance. It is also great for those with acne prone skin, eczema, psoriasis, dermatitis and even Dandruff. Using our bar as a shampoo, it will not strip the natural oils from your hair but will in fact soften and condition your scalp naturally. 8. Lavender Honey Oat Goat Milk Soap: Our Honey Oat Goat Milk Soap is packed with rich moisturizers, vitamins, and minerals your skin craves. 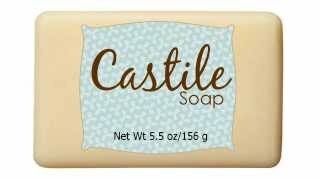 This soap contains Honey, Goat Milk, and Rolled Oats that when combined exfoliates and deeply moisturizes the skin. Lavender Essential Oil has been added for its wonderful scent and soothing properties. 9.Lavender: All natural vegan soap has a radiant floral aroma that can be used for the face, body or even as a shampoo. The therapeutic grade essential oil of Lavender are best known for its soothing effects as well as the smooth appearance of skin and hair. 10.Pine Scotch & Tea Tree: This all natural Pine Scotch & Tea Tree Exfoliating vegan soap has a fresh invigorating woodland scent that can be used for the face, body or even as a shampoo. The combination of the therapeutic grade essential oil of Pine Scotch and Tea Tree are known to be beneficial for oily or acne-prone skin, while being gentle enough for all skin types. Contains flecks of Certified Organic & Kosher grade dried marjoram Herbs that exfoliates your skin when used. 11.Soothing Skin: Our “Soothing Skin” Body & Shampoo Bar Soap was originally created for those who not only seek to moisturize their skin, but also provides cool soothing properties throughout. For that we have combined our three essential oils, such as: Lavender, Peppermint and Tea Tree, which promotes Cleansing, Stimulating, Anti-Viral, Anti-Fungal, Anti-Inflammatory, Anti-Bacterial properties to the hair and body. These essential oils have been predominately known to help relieve skin conditions of Eczema, Psoriasis, Dermatitis and even Dandruff. Using our bar as a shampoo, it will not strip the natural oils from your hair but will in fact soften and condition your scalp naturally. 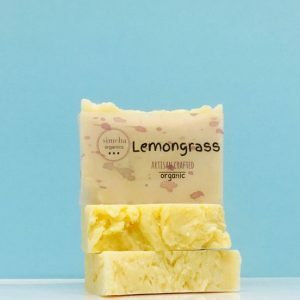 12.Unscented Oatmeal Soap: This all natural oatmeal unscented vegan soap is created mindfully for those who have sensitive skin, and who prefer not to have any essential oils and/or fragrances in their soap. Contains organic rolled oats that exfoliates your skin when used. 13.Unscented Coffee Soap: Our unscented exfoliating and moisturizing coffee soap was created for those who prefer no scent at all. This soap bar is great as a natural scrub for the skin since it contains real coffee grounds. Coffee grounds are commonly known as an exfoliating agent to help remove any dirt and dead skin cells. The caffeine in coffee grounds has been noted to possibly increase circulation within the skin while reducing fine lines and wrinkles. 14.Unscented Goat Milk with Colloidal Oatmeal: Our bar soap is great as a natural exfoliant for the skin, as it contains fine natural colloidal oatmeal, which has moisturizing, antioxidative and anti-inflammatory properties. In addition, we have added goat milk which also acts as a gentle all-natural cleanser that hydrates and nourishes dry skin. Both the oatmeal and goat milk combined cleanses, protects and softens the skin. ***If allergic to any of the ingredients please do not use. Short Product Description: The newest addition to our Etsy Site. 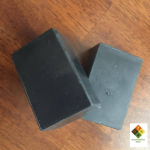 Activated Charcoal Soap. The newest addition to our Activated Charcoal line, our Clean Slate Soap Bar. Likely one of the best soaps to perfectly cleanse your skin and remove toxins. Used for its detoxifying and oil absorbing abilities, it is designed for deep cleaning, leaves skin feeling balanced and helps support acne. 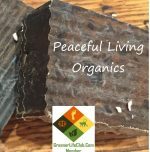 This bar is loaded with activated charcoal and therapeutic grade citrus essential oils to assure not just a cleaning experience but an extraordinary fresh aromatherapy experience. This is not a moisturizing soap, but it can be used on most sensitive skin. The charcoal offers mild exfoliation as it cleans and absorbs excess oil. I use this as a facial soap especially now during these hot humid Florida summer months! This soap offers a creamy, luxurious moisturizing lather and smells wonderful with essential oils. It is very cleansing yet gentle to your skin leaving it silky smooth. All soaps are made from scratch in small batches, using hot process methods, and of course with love. Clean Slate Line is dedicated to Activated Charcoal, so keep an eye out for more exciting additions to the line. Also, if you need additional information or just have questions please ask.